A real life War Machine? Nice going, 'murica! In one of those fabulous "America, f*** yeah!" moments that brighten our days every once in a while, a top US admiral has revealed Iron Man-like protective suits will soon be ready for testing. Navy Admiral William McRaven said three unpowered Tactical Assault Light Operator Suit prototypes are under construction and may be ready by the summer, before a planned roll-out to field operatives in 2018. "That suit, if done correctly, will yield a revolutionary improvement in survivability and capability for special operators," McRaven said. 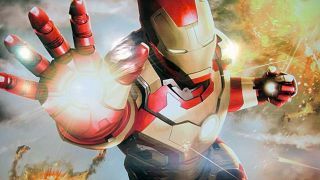 Rather than the flight and firing capabilities demonstrated by Tony Stark in the Marvel comics and in movies, the suits will be geared more to fending off enemy fire. Still, look out bad guys, Iron Men are coming for you.